Maintaining the equipment your business uses is an excellent way to reduce waste and extract the most value from your equipment. Yet we can come up for any number of excuses not to practice preventive maintenance – excuses mostly related to “not having the time.” But in reality, practicing preventive maintenance frees up time over the long run, because there will be fewer emergency repairs disrupting work. For many businesses, automated workflows are the answer to the excuses for neglecting preventive maintenance, because they can be set up to follow schedules, send notifications, and collect valuable data. Investing in workflow software and creating maintenance workflows is a key step, of course, but sometimes organizations have to educate everyone on the importance of preventive maintenance. It’s not always easy. Strong leadership and commitment to accountability from every team member in every department are necessary to building a culture in which making the most of resources is ingrained. The workflow software is there to help you “walk the talk” by reminding key personnel when it is time to examine equipment, perform routine maintenance, and document equipment condition. This also allows budgets to be more accurately projected when it appears that old equipment will have to be replaced. Many preventive maintenance tasks are built into IT equipment, as you are aware if you use Windows and are occasionally reminded of an automatic operating system update. But there are many other preventive steps that keep IT equipment in sound working order, such as routine verification that server backups work, checking disk usage versus disk capacity, and assessing system security regularly. These tasks can often be scheduled outside of normal business hours so that disruption of operations is kept to a minimum. As paperless as we like to believe our offices are, most businesses still have copiers that get regular use. Simple tasks like cleaning the glass platen can be scheduled frequently, while more complex tasks like cleaning dust and toner residue from paper rollers can be scheduled on a less-frequent basis. It’s not easy to know when to replace toner cartridges, but keeping records can help you predict how long a cartridge usually lasts. Inspecting drum units for wear quarterly or semi-annually can ensure worn ones are replaced before they break. And all of this can be scheduled and documented with automated workflows. The same can be done for other office equipment like laminators, scanners, and cash registers. 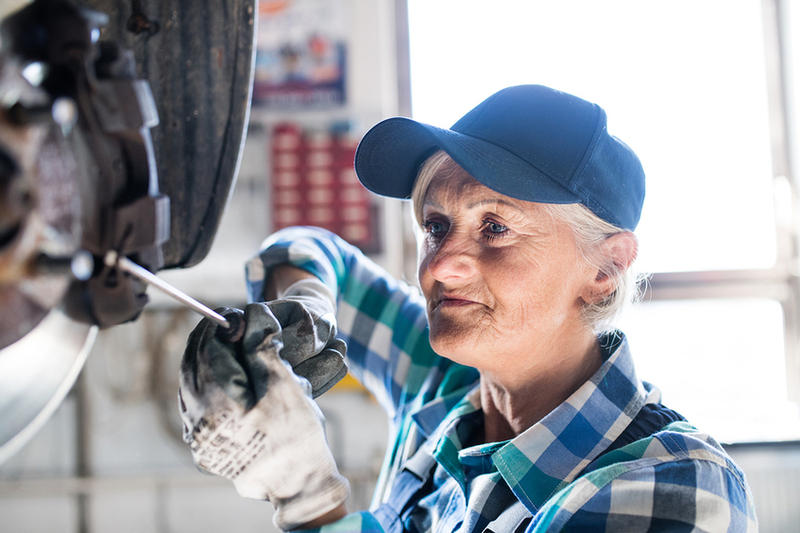 Even if your “fleet” is only two or three vehicles, devoting time to regular maintenance pays off impressively. Even the smallest transportation fleet benefits from automated workflows for routine maintenance. Workflows can schedule regular oil changes, tire rotations, fluid level checks and other preventive steps, ensuring you’re ready to roll at any time and minimizing the chances that a team member will experience vehicle breakdown while working off site. Taking preventive maintenance steps may require an investment of time and money now, but it can prevent much bigger expenses and time waste later on. Another great thing about automated workflows for preventive maintenance is that they can document and record steps taken and repairs made. Over time, you’ll learn which products tend to last and which don’t, so you can make wiser replacement purchases when the time comes. The old aphorism “A stitch in time saves nine” is remarkably apt in the twenty-first century office environment, and the right workflow software helps you get those “stitches” in and save time and money. PerfectForms is workflow software that requires no programming. Hence, you and your team can create preventive maintenance workflows that are perfectly tailored to your equipment mix and their recommended service schedules. PerfectForms also has outstanding reporting capabilities, so at the end of the year you can see how much you have spent on preventive maintenance and compare it to the costs of neglecting and replacing equipment. Preventive maintenance workflows are just one way that PerfectForms saves organizations time and money. We encourage you to read through our case studies and discover the huge variety of ways businesses, nonprofits, and governmental organizations use PerfectForms to streamline procedures, keep processes on track, and save significant amounts of time and money. This entry was posted on Wednesday, January 23rd, 2019 at 8:00 am	and is filed under Workflow, Workflow Design. You can follow any responses to this entry through the RSS 2.0 feed.